I miss the viper Droid and the R5. I know the Rebel Pilot reinforcement was going to have an astromech Droid to deploy, but since we don't seem likely to see any new reinforcements, maybe a new card? Could replace the Officer's autoturret, or the Specialist's bubble. For the Separatists, it could be a hunter-killer Droid like from Attack Of The Clones. For the Republic, it could be an R5 astromech. Copper and orange. For Imperials, the viper droid. All black and insidious-looking. For Rebels, the R5, maybe in a different color. White and red. For the First Order, a viper droid, but in white. For the Resistance, well, the R5 again. White and green, maybe. See the link at the bottom of my comment. I just saw this from back in February -- I'm guessing this is what you're talking about! Great stuff, lots of good ideas there...! There are some cool actionable hidden items in SWBF II like the bridge on the Death Star and the band (play the same song!) in the cantina that add an element of fun to the game for me. I'm sure I might be missing some so please share if you know of any others. We also have the ability to man turrets, or on Hoth to ride the Taun Tauns. This got me thinking (dangerous) about the astromechs and viper droids I've seen on some maps. I’d like us to have the ability to activate these droids and have the droids function as they did in SWBF I. In SWBF I droids were great to have working for you and could be a challenge when you rushed up on an enemy droid. ION weapons shined against droids in SWBF I and they could do the same in SWBF II. Droid activation could be a function of one class or give every class the ability to activate and use the droids located across the maps. If the ability is class specific then there could also be an ability to upgrade droids (damage ability/range/active time) and also hack the enemies’ droids and have that droid work against their own faction. Hacked droids could remain active until they are destroyed by ION weapons or there could be place a timer on them. 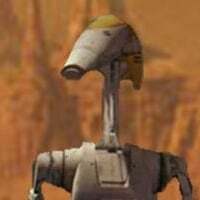 I know there are more important items in the game that are being addressed but the ability to use droids would be a new element of the game that I think troopers would enjoy. Hopefully the activation of droids is something the developers will consider going forward. Activate or leave them in deep sleep mode? Troopers can only activate droids that belong to their faction. Every trooper class can activate a droid but the droids abilities are class specific. After activation, you can choose one of the two abilities depending on your class. Assault – Overheat – increases weapon overheat of enemy troopers within range. Assault - Rapid-Fire blaster – locks and targets enemy troopers within range. Officer – Sonic Wave – Emits sonic waves that slows enemies and causes small damage while in range. Officer - Shock – Sends an electric charge temporarily shocking and damaging enemy troopers within range. Specialist - Hologram – projects images to deceive enemies into revealing their location. Specialist – Dioxin – release dioxis cloud that sticks to enemies causing damage over time. Heavy - Recharge – decreases weapon cool down for troopers within range. Heavy - Chaff – radar jamming burst release of chaff also affecting enemy ability to properly aim. The level of the trooper activating the droid will determine the length of active time, effective range and damage capabilities of the activated droid. High-level troopers get longer activation time, greater range and damage output from the droids/astromechs they activate. Once maximum level has been achieved the Override ability becomes enabled. The Override ability allows these level troopers to activate any droid on the map. 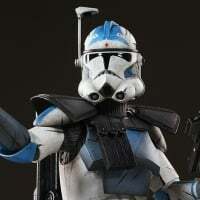 An example would be a rebel trooper who has the Override ability would be able to activate and use a Viper droid, while a Override ability Stormtrooper can activate and use a R5-D4 astromech. Still kicking around the required levels affecting droid ability duration, range and damage and hack ability. Yeah @Jett_Fett_91166 's ideas are pretty good, I like the idea of the droids giving different effects as well. Alternatively I think a cool addition would be to have weapon racks/crates scattered around the map (I did make a post about these way back in like January, idk if anyone remembers, probably not lol) where you could buy a gadget for X battle points (probably a couple hundred, depends on the gadget). These would be similar to the Power Ups that were available in SWBF 2015 except slightly less powerful and you have to pay for them. Some examples - a one-time use Rocket Launcher or Smart Rocket which is essentially a buffed version of the one carried by the Aerial, can lock onto vehicles if aimed in and locked. The Ion Neutraliser or Disruptor - a heavy one-shot Ion weapon which either disables and deals heavy damage to vehicles (but it wouldn't work like the objective ones on Walker maps, although it would deal a lot of damage against unshielded walkers). 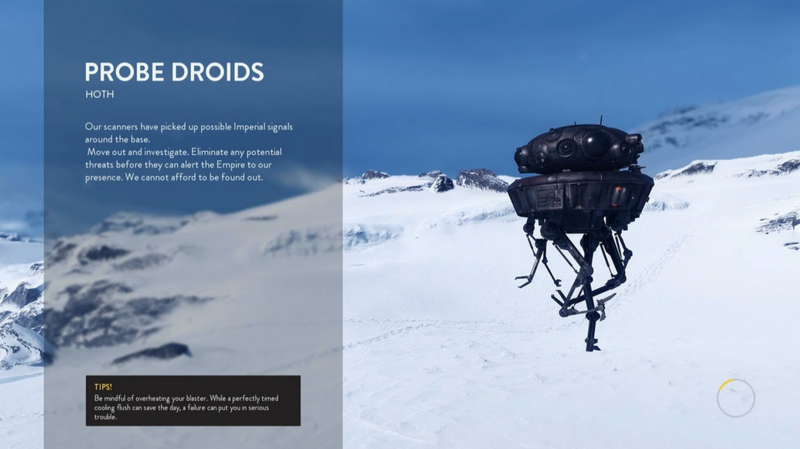 Different types of droid would be a great option for these - perhaps a Probe/Recon droid which scans and shoots like in the last game, a GNK Power Unit (Gonk Droid) which increases the overheat time of players in its radius allowing them to fire continuously for longer (probably only friendly players), and a stationary Medical Droid which increases the regen rate of all friendlies in its radius. I think these would all be great and interesting additions to the game, even if they're not very probable. Hm. The only problem I see with it is, people would start farming the crates - hanging nearby and killing those who approached or engaged it. I was initially just thinking of the sort of ambulatory sentry function, shooting things that get near, and higher tiers of the card would allow faster lock-on, maybe give the droid a bit more health. But I love the idea of just activating the droids we already see on the battlefields, and I love the array of different abilities! Between giving the ability to a class or to all classes, I'd say all classes, but then I'd think the activation time would have to be pretty long. Risk for reward. I'd still like to see a Technician / Slicer class. 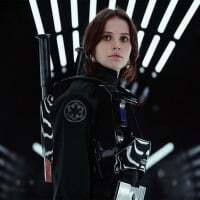 Navy Gunner appearances for Empire and First Order, Spec OP Clones for Republic, jumpsuit techs for everything else. 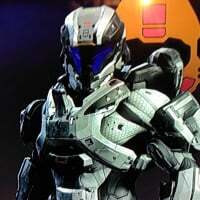 With options to buy Pilot skins for all factions. Give them a slicing ability that activates environmental droids (enemy droids at high tiers), but also lets them deactivate enemy turrets (maybe turn them friendly at high tiers). And they should provide everyone withing a small radius with a local Scan Pulse. 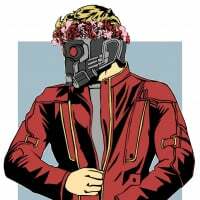 I made a thread that loosely goes off you kinda. But yes I would like droids to come back. Fun seeing them on the battelfront. Just more starwars stuff on top of star wars stuff. TY both. It’s good to see some support for activating the droids. Certainly would like to see it in this game but it might be a little too late at this point. Who knows, maybe Ben will start a poll. You know I'm going to say YES! Plus on many post I've said we need it back. Please no, we don't need those ai death cannons back. Having them in the game again doesn't mean they'd be the exact same. 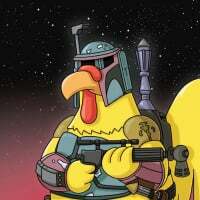 Lock-on time and rate of fire can be tweaked, and if you'd read the thread you'd know most of what we're talking about doesn't even involve Droids that shoot. I agree, though, they were aimbot-y. I'd hope they'd get balanced if they were added. Just give them less power on the blast shots and lower the rate. Have them follow the user not scanning an area. And give them a 45 second active time 20 second cool off time. Also have them rotate for kill or heal. LMAO that would be funny some one brings out the droid for a healing buff and it starts shooting at Maul. Maul kills the droid and the trooper. Trooper gets mad at his droid card. Forgets it shot last spawn throws it out to take on a squad of droids it heals him but both still die because of the over powering force of two officers a heavy and assault. Now the 3rd respawn he's very very careful with the card and don't throw it out until he needs some fire support at the control point. LMAO crazy droid I need to get your memory chip fix LMAO. Yeah if they could do it right.